I don't exactly hate winter. I like all seasons. I just wish that this particular season was about a month shorter. With a good coating of ice on the ground, and some fluffier stuff on the way, let's think about some of the sweeter things that winter brings: citrus fruit. 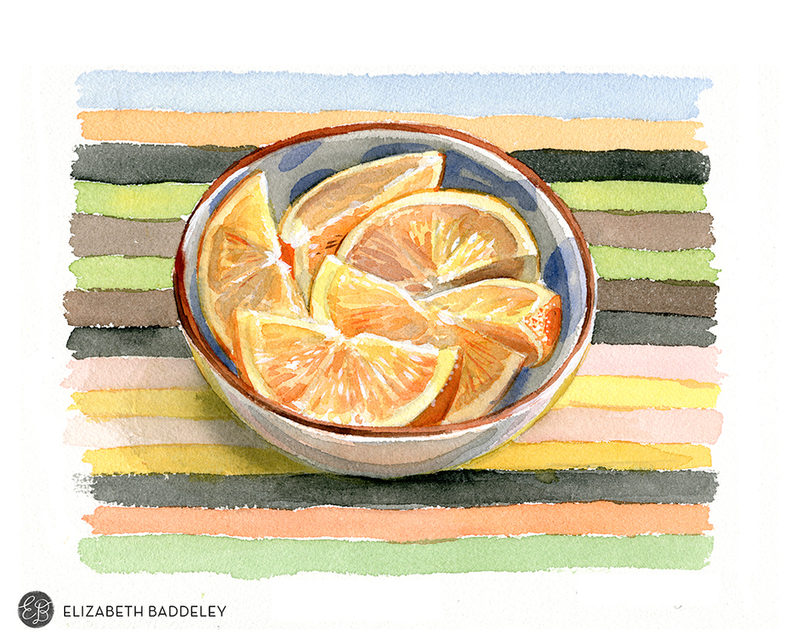 Orange, ruby, lemon, lime, these little gems are at their best when the season is at its worst. As I sliced up my orange at lunch today, and placed in my favorite bowl, I was blown away by just how gorgeous this simple pleasure it. And so, I painted it. Isn't that what you would do?